After alot of research, I finally purchased a filter for our Late Model and could not be happier. We ran paper filters before and had to run grease on the cleaner and it seemed dirt still made it through. Now with the R2C filter we do not have to mess with the grease and our carb is cleaner. We will now buy one for our modified. More Horsepower and Torque and Optimum Economy! No hazardous cleaners or oils required! Fast and easy, low pressure compressed air cleaning. Lifetime warranty! 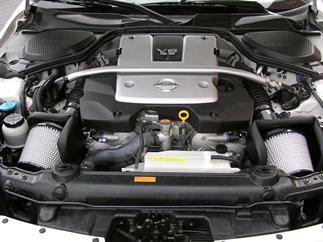 Count on R2C Performance Products For The Highest Level Of Cold Air Intake Horsepower and Engine Protection Available to Nissan 350Z Enthusiasts. 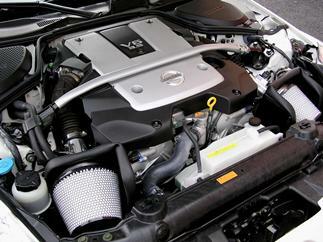 R2C Short Ram 350Z Intake Tubes Are Available in Polished, Black and Silver Powder Coats. Simple installation and Lifetime Performance Air Filters - No Filter Oiling Required!